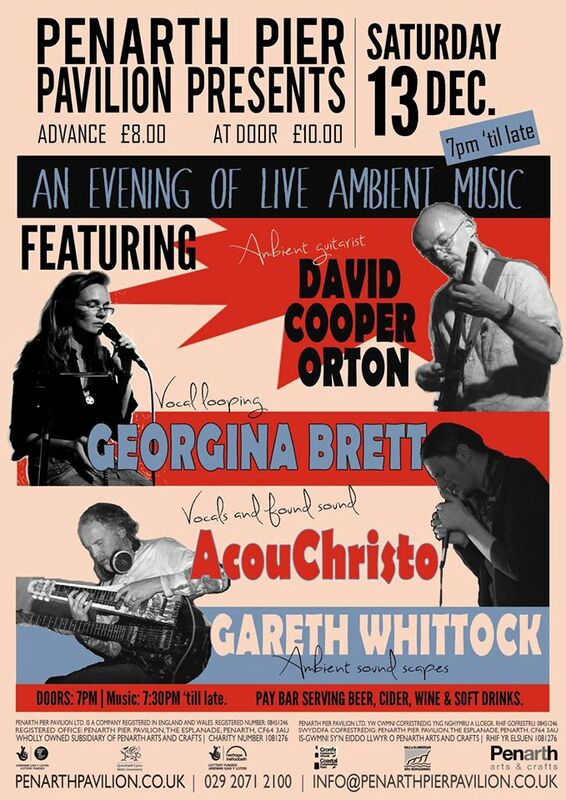 An evening of live Ambient Music from four acts from Wales & England. David Cooper Orton, Georgina Brett, AcouChristo & Gareth Whittock! £8 Pre booking – £10 on the door.